From Furniturea's original collection, the Daybed offers style and versatility, and a unique solution to your seating and sleeping needs. 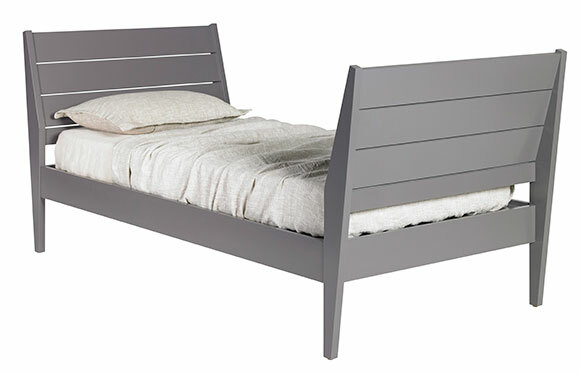 With its angled headboards and tapered legs, the Day Bed rests at the intersection of modern and cottage. Made to order according to the height of your standard twin mattress for a perfect fit. Shown in Gunmetal. Natural finish options available.